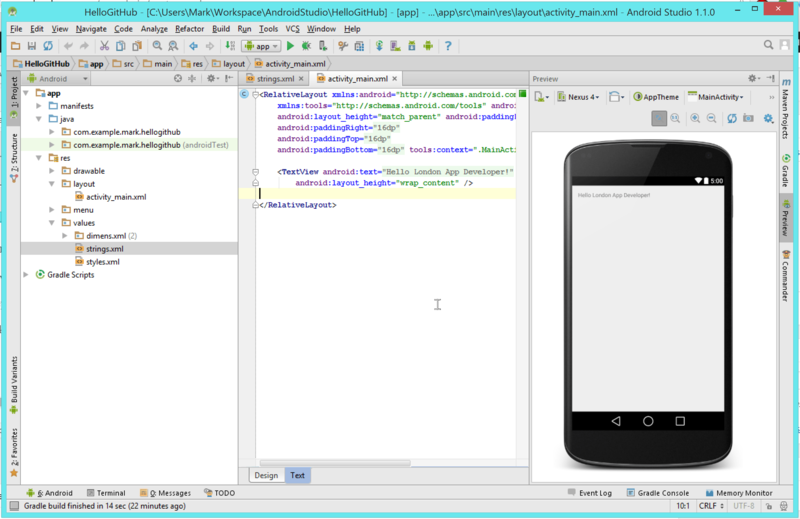 You may have read/watched my previous tutorial How to use GitHub with Android Studio 1.x. 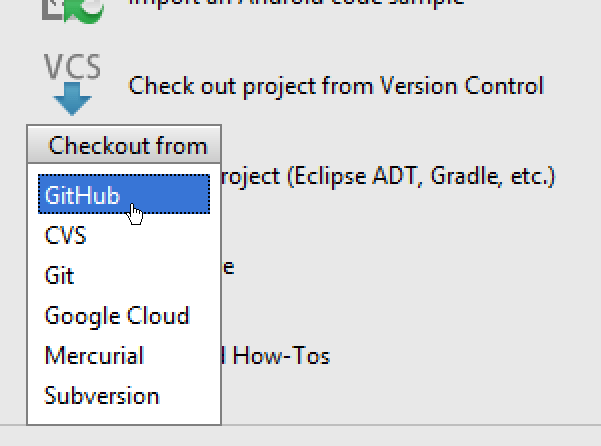 This is a follow up tutorial which explains how to clone a project that has been added to GitHub. 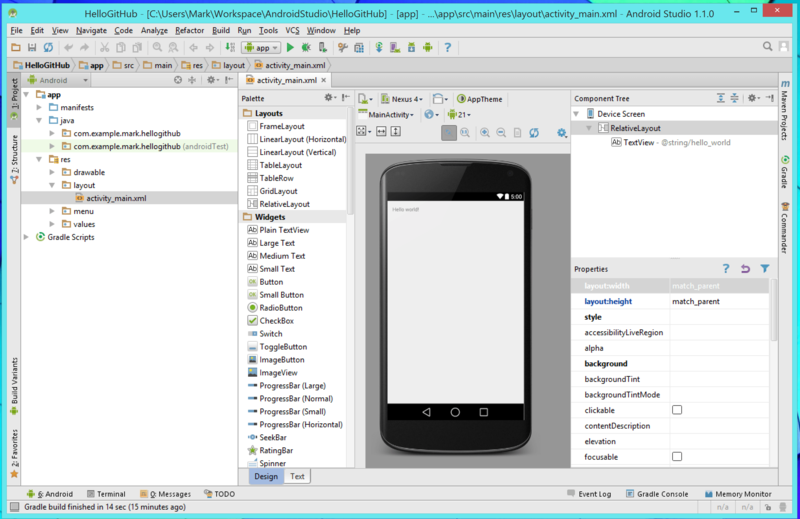 If you’re looking for more in-depth training, check out my ebook How to Use GitHub with Android Studio: A complete step-by-step guide to mastering the technology. 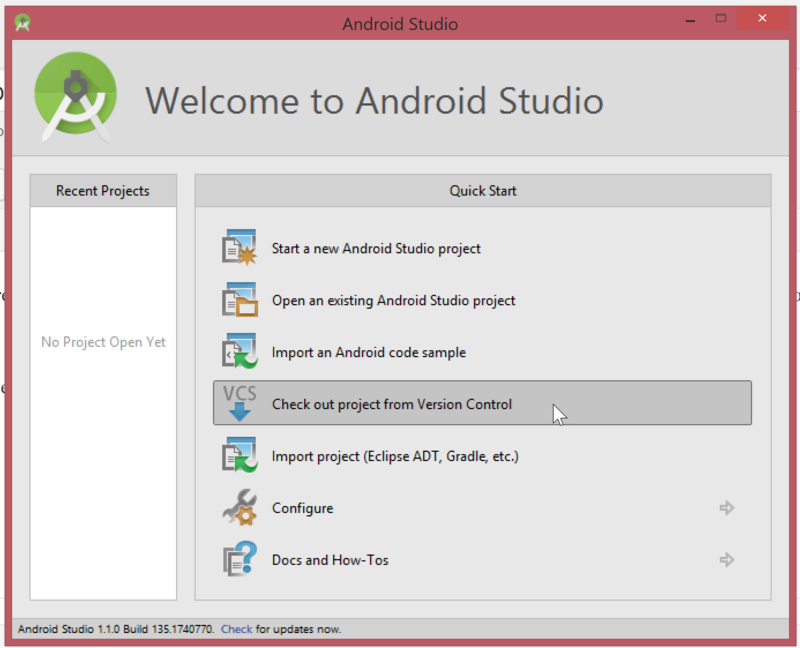 You will be prompted with a message asking you would like to open the project in Android Studio. Click Yes. Now that we have checked out and opened the project, this next part explains how to commit changes. 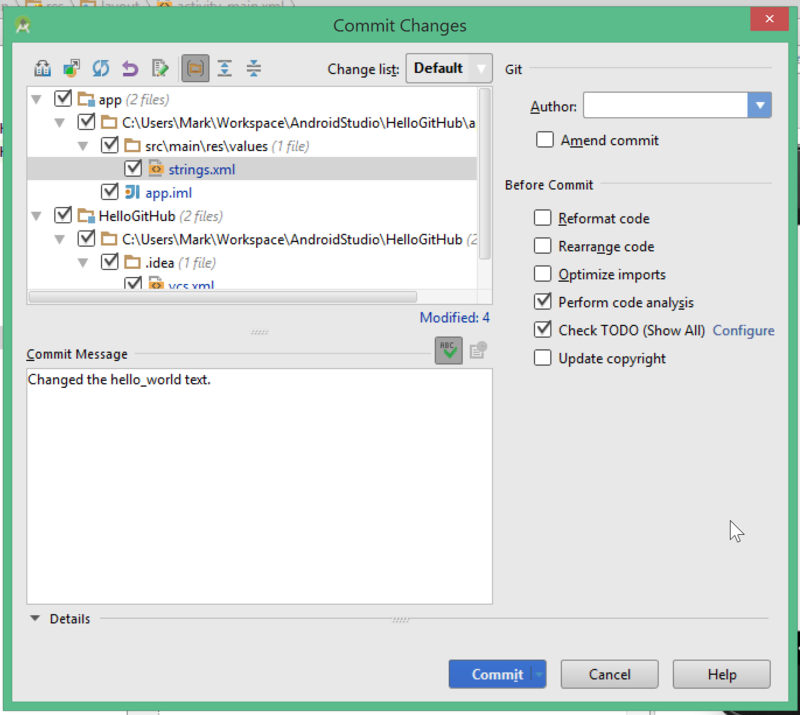 Make any change, for the purpose of this tutorial I simply modified the strings.xml file to change the “Hello World!” text to read “Hello London App Developer!”. 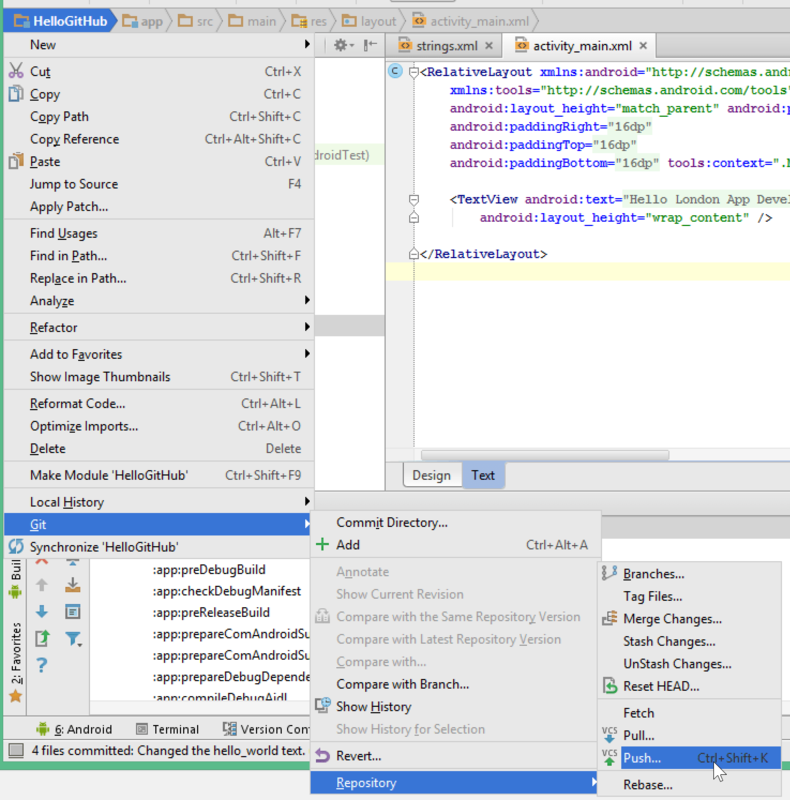 In the Commit Changes screen, ensure all the files are checked and type a Commit Message. Then click Commit to commit your changes. 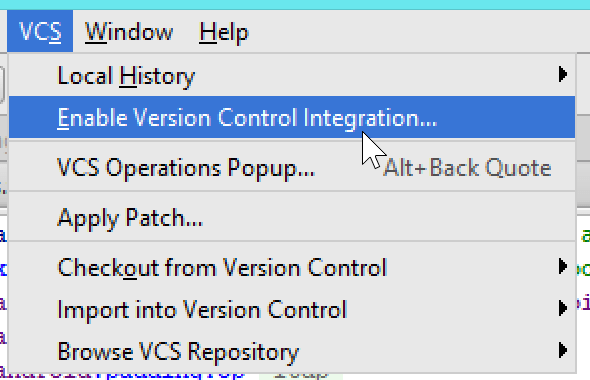 Next, select the project name in the top left corner, then choose Git > Repository > Push. 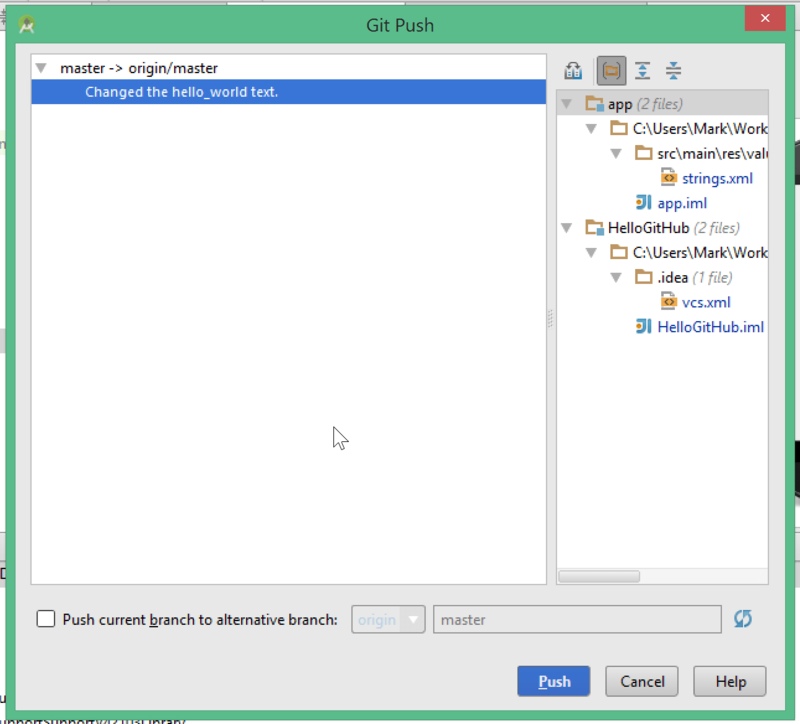 When you see the Git Push screen, click Push. If this works, you will see the Push successful message. 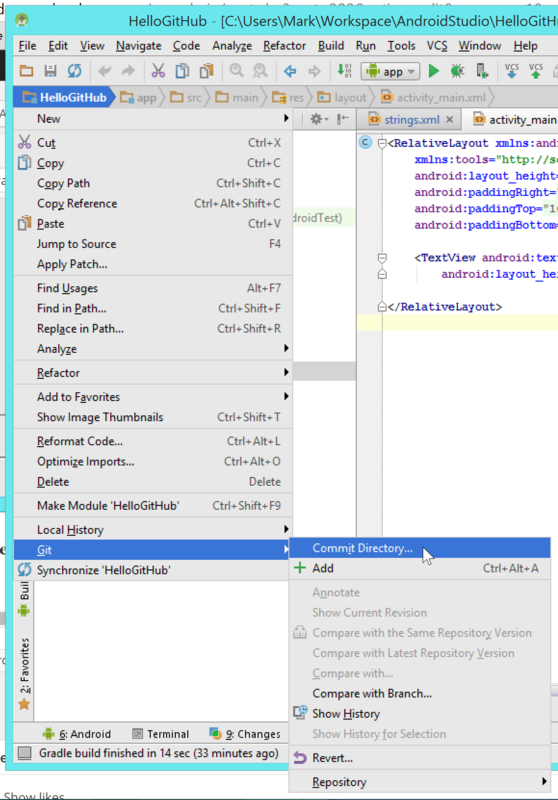 If you login to Git and browse to your repository, you will see that the changes have been pushed. Thanks for reading. I hope you found this help? If you have any questions please let me know in the comments below. i am getting an error like that file cannot resolve affollested alert material. i just want to pull that from git to studio. Very good tutorial, That is work for me, Thanks. 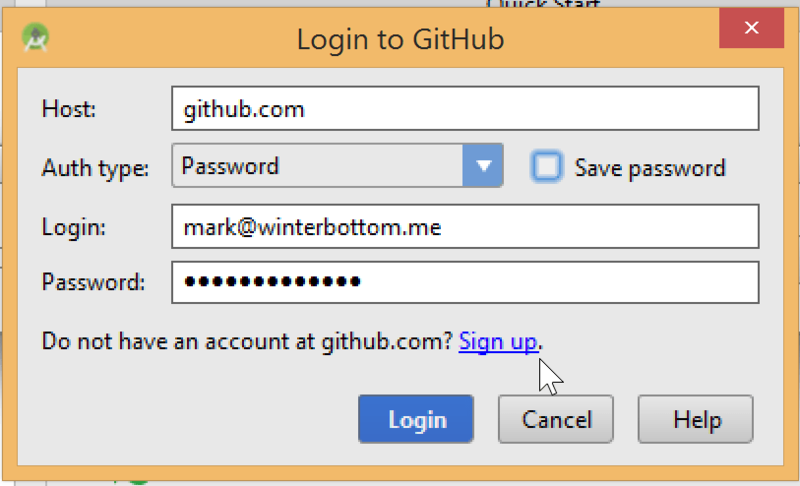 if I am using another computer as my server instead of github.com server. Can you guide me to the link where you show when not to push to master branch? Also there was a button for pull right above push. When and where would we use that?